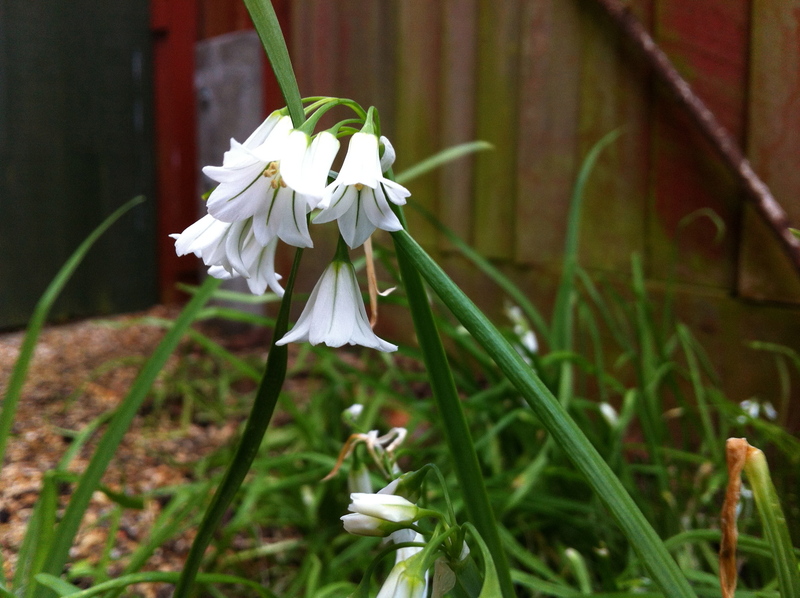 In the front garden along the fence grows a dense mass of something called “three cornered garlic”. I only recently found out that this is what it is called after trying several times and finally resorting to searching the internet for “white bell flowers with green stripe”. The clue is in the leaves, which have three edges. It’s a member of the Allium family and smells rather unpleasant when bruised so it’s probably good for planting in between vegetables to keep the pests away. The botanical name is Allium Triquetrum and my name for it – up until now – was “that thing in the front that looks like a summer snowflake but smells”. Can you eat the garlic? From reading around, the general consensus is that they are edible, but I wouldn’t know how to use them in recipes.